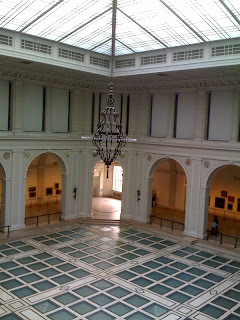 The Brooklyn Museum is on our list of favorite museums. 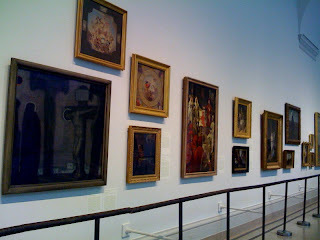 The museum includes the recognizable well-known greats. 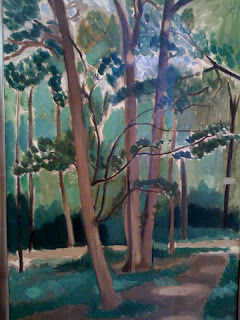 This Matisse painting reminded us of the Brooklyn Botanic Gardens. 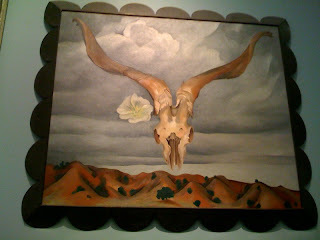 The museum also had a good mix of contemporary art. There was a stage on this beautiful third floor area. We can only imagine what kind of beautiful music is performed here. Michael, where are you? Billy Jean? And the classic renaissance art is always appreciated. 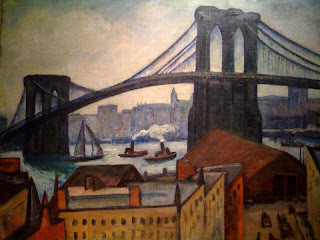 We also appreciated the current museum's exhibition Gustave Caillebotte: Impressionist Paintings from Paris to the Sea. 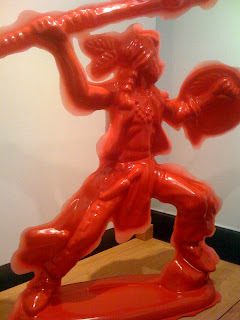 This was one of our favorite sculpture there - the squatting man. 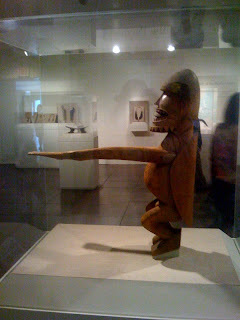 The first floor consisted of African art and some of our favorites included video footage of tribal dance - some of the dance moves reminded us of break dancing. Egypt's Pagan and Coptic Sculpture exhibition. 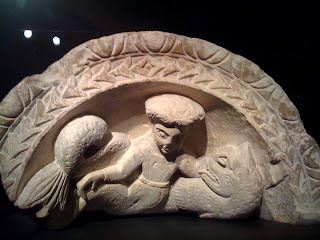 This is Top of an Arch with a Nymph Riding a Sea Monster (5th-6th Century C.E.). 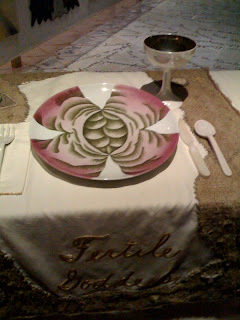 The Dinner Party by Judy Chicago - an important 1970s icon of feminist art and is a ceremonial banquet arranged on a triangular table with 39 place settings, each commemorating an important woman from history. The china-painted porcelain plates were beautiful. 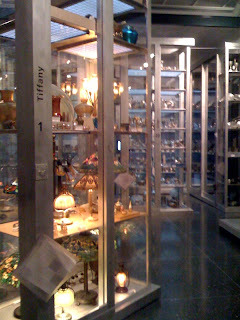 One of the museum's interesting spaces is its fifth floor Visible Storage area. It literally was a storage area with some great works of arts - paintings, sculptures, Antique Tiffany lamps, furniture, and hundreds of other oddities. We loved this! If we had loads of money, we'd buy this for Bopp. 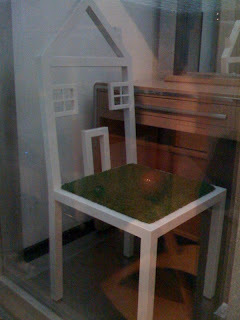 And we'd buy this Leave it to Beaver cartoonish chair for ourselves. 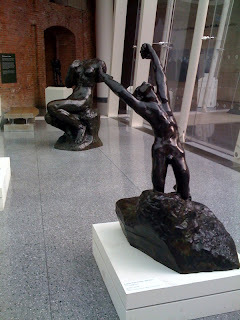 Bronze sculptures by August Rodin at the museum's entrance. 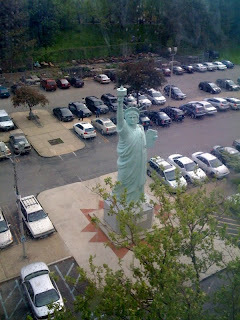 Statue of Liberty replica in the parking lot. We walked out of the museum to live music accompanied by Capoeira. 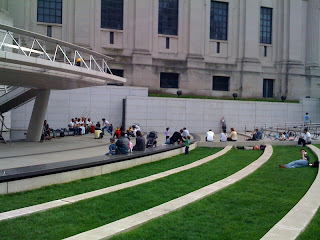 And people love to lounge about in the grassy area in front of the museum. It's never boring in this city, even when you're relaxing. 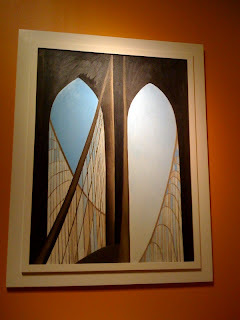 We were pleasantly surprised by the amount of (quality and diverse) art in this museum. It wasn't too astronomically large like the MET (although the MET is still our favorite) and it wasn't too slow (like Museum of the City of New York). 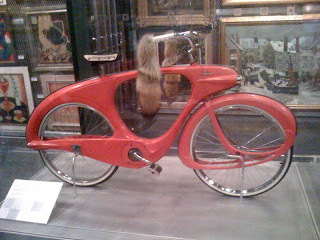 It was like the perfectly sized museum for a full one-day visit. But you still need a full day here to completely enjoy all the pieces of art. It's interesting how the subway stops at the Museum locations are always the nicest - like this one at the Brooklyn Museum stop and like the stop at the American Museum of Natural History. Can you spot Shrek? In contrast, our subway stop consists of pee, crap and beat downs. Barney Greengrass "The Sturgeon King"